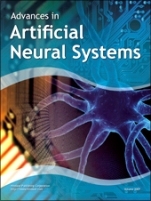 Advances in Artificial Neural Systems publishes original research and authoritative reviews on all aspects of the engineering of artificial neural information processing based on the neural paradigm. 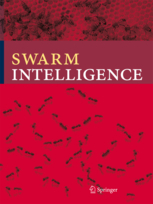 The journal publishes original research articles and occasional reviews on theoretical, experimental, and practical aspects of swarm intelligence. 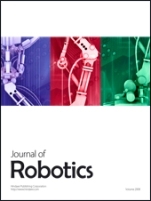 Journal of Robotics is a peer-reviewed, open access journal that publishes original research articles as well as review articles in all areas of robotics. Complexity is a bi-monthly, cross-disciplinary journal focusing on the rapidly expanding science of complex adaptive systems. The purpose of the journal is to advance the science of complexity. 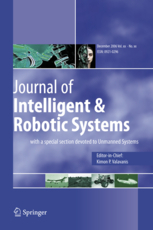 The Journal of Intelligent and Robotic Systems bridges the gap between theory and practice in all areas of intelligent systems and robotics. It publishes original, peer reviewed contributions from initial concept and theory to prototyping to final product development and commercialization. The main aim of the journal is to serve as an efficient exchange platform for scientists with different backgrounds (engineers, computer scientists, physicists, biologists, mathematicians, psychologists, etc.) working on problems related to behavioral robotics. We believe that only free exchange of ideas coming from various fields can efficiently foster development of such inherently interdisciplinary domain like robotics. This is an international journal publishing original technical papers and authoritative state-of-the-art reviews on the development of new technologies concerning artificial life and robotics, especially computer-based simulation and hardware. Artificial Intelligence in Medicine publishes original articles from a wide variety of interdisciplinary perspectives concerning the theory and practice of artificial intelligence (AI) in medicine, human biology, and health care. 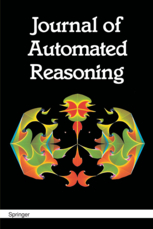 The interdisciplinary Journal of Automated Reasoning balances theory, implementation and application. The spectrum of coverage ranges from the presentation of a new inference rule with proof of its logical properties to a detailed account of a computer program designed to solve various problems in industry. 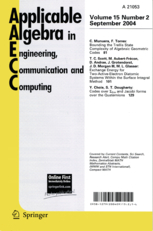 Applicable Algebra in Engineering, Communication and Computing publishes mathematically rigorous, original research papers reporting on algebraic methods and techniques relevant to all domains concerned with computers, intelligent systems and communications. Neural Networks is the archival journal of the world's three oldest neural modeling societies: the International Neural Network Society (INNS), the European Neural Network Society (ENNS), and the Japanese Neural Network Society (JNNS). A subscription to the journal is included with membership in each of these societies.